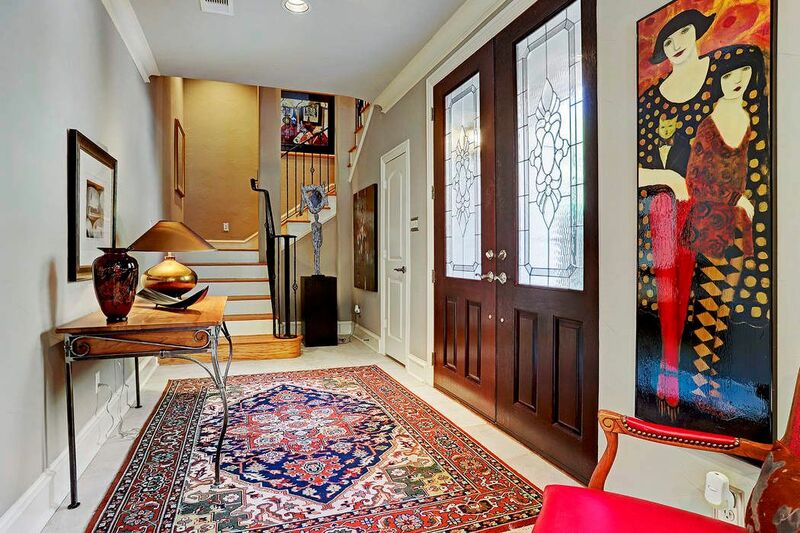 1987 Indiana Street, Houston, TX 77019 | Martha Turner Sotheby's International Realty, Inc. 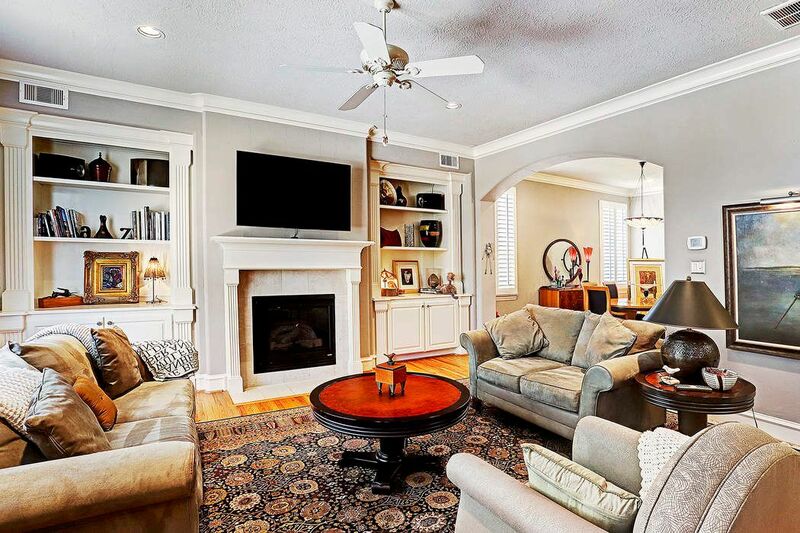 Located just blocks from River Oaks Shopping Center, you'll love being "in the middle of things" yet enjoy quiet privacy of this gem of a neighborhood. 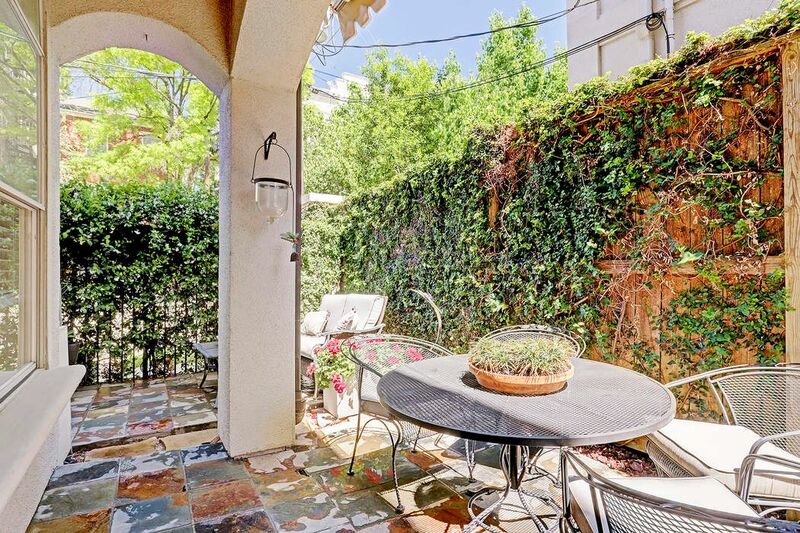 Completed in 2007, this beautiful free-standing patio home is part of a lovely gated enclave of four homes. 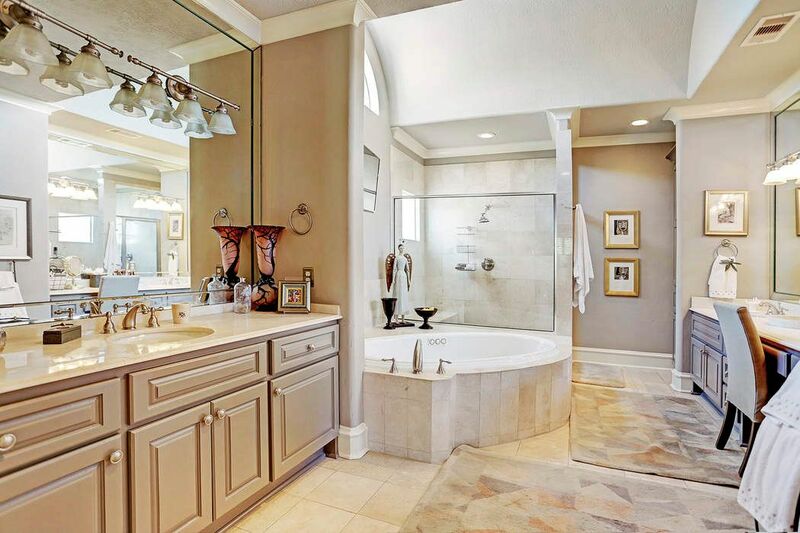 This ideal floor plan offers both a bedroom and a study down. 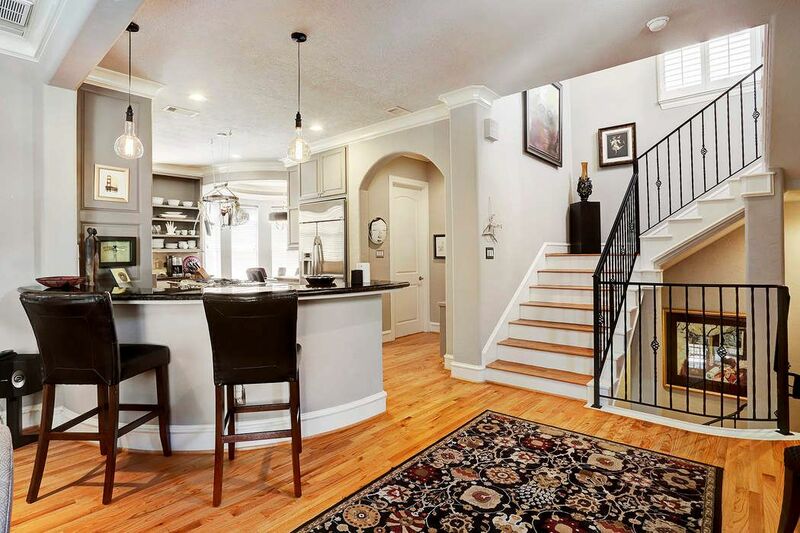 Up the beautiful iron-railed staircase is a wonderful open living, dining and kitchen. 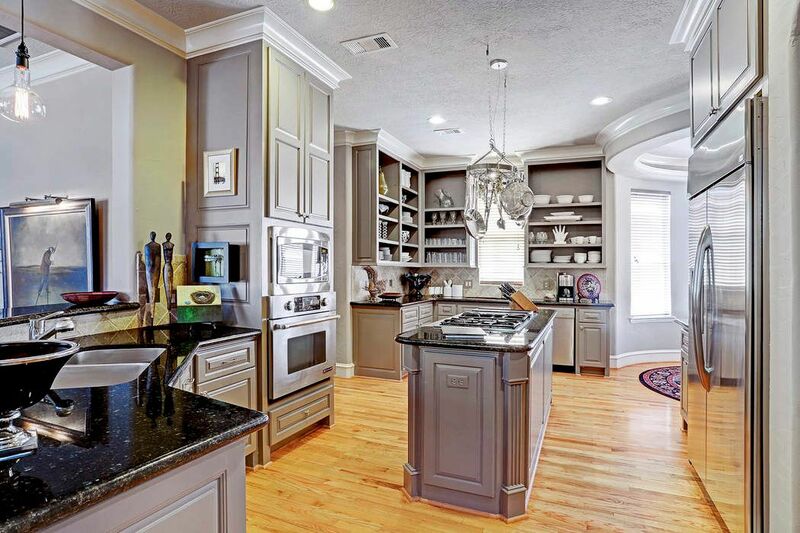 Fine millwork, high ceilings, built-in cabinets and display shelves, gas log fireplace, gleaming hardwoods throughout. 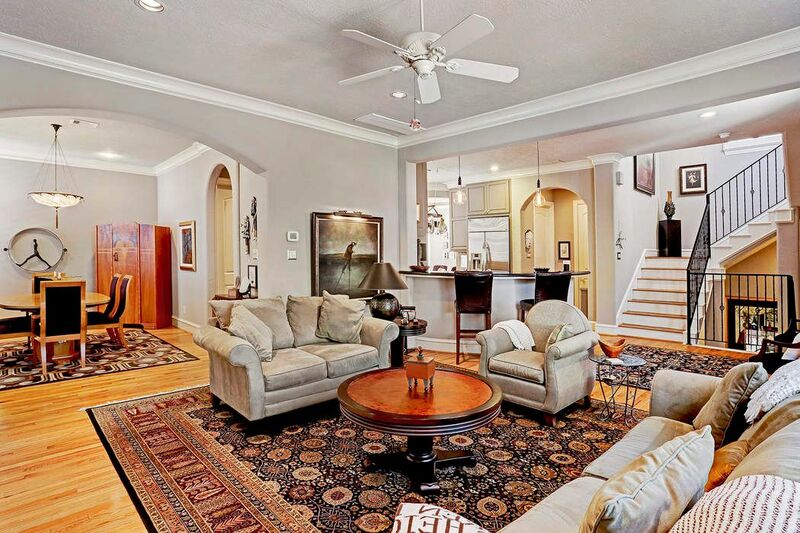 Downstairs study with tile floors, crown molding, recessed lighting, ceiling fan and access to the side patio. 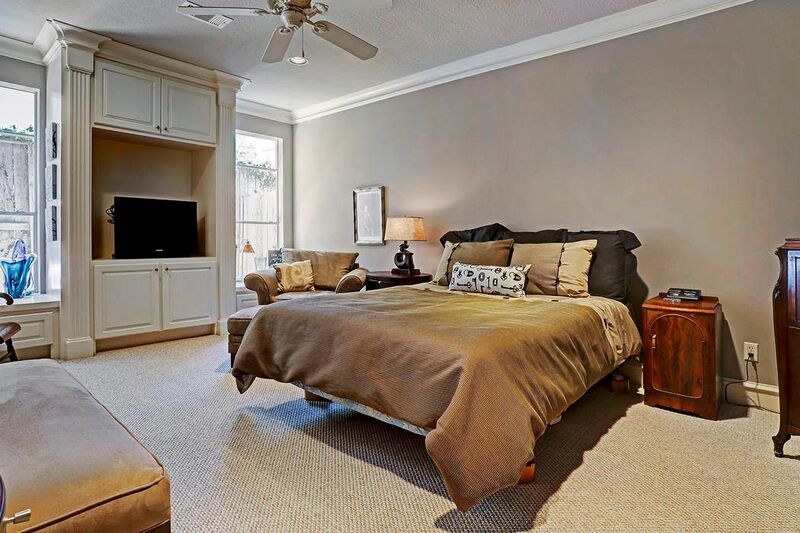 Downstairs bedroom with carpet, crown molding, recessed lighting, built-in storage and en suite. 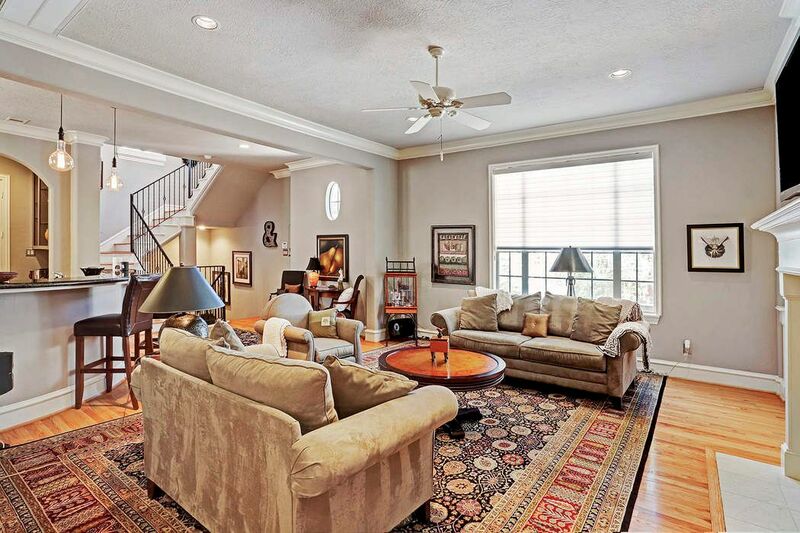 Second floor has an open floor plan, hardwood floors, recessed lighting and crown molding. 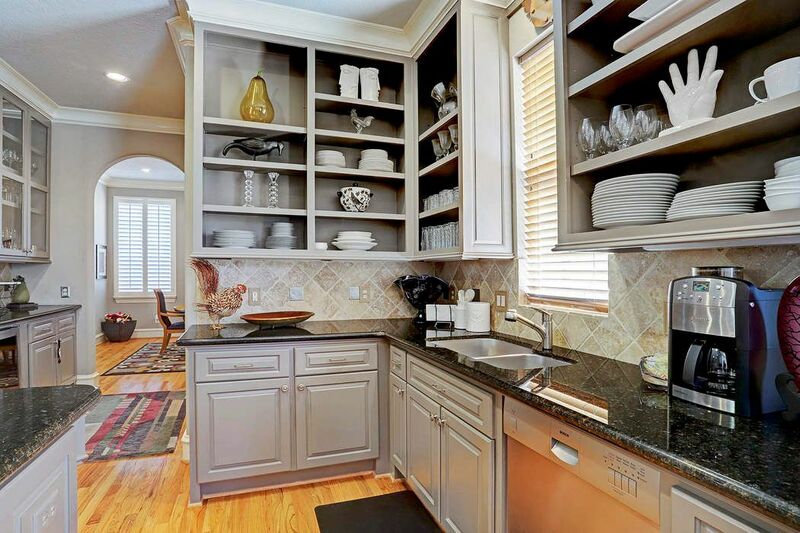 The kitchen is a gourmet cook's dream with abundant counter space, high-end stainless appliances, and charming breakfast nook. 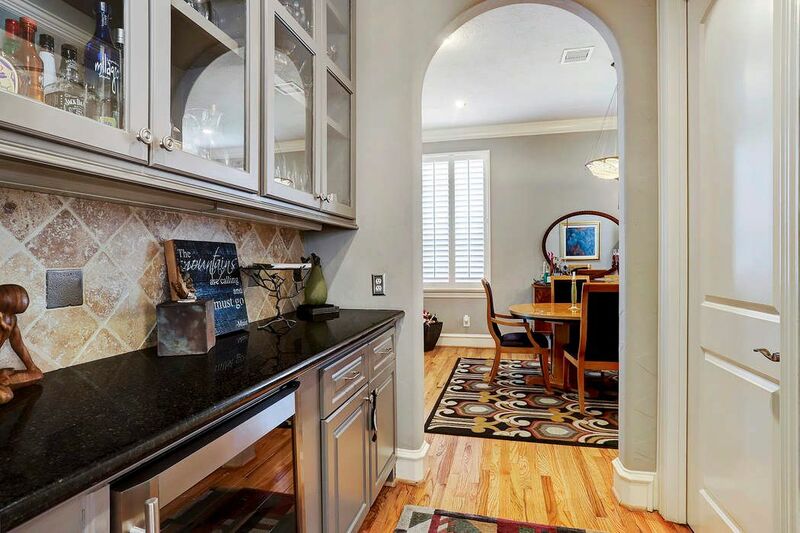 Granite counters, high-end stainless appliances, built-in cabinets and display shelves, recessed lighting and crown molding. 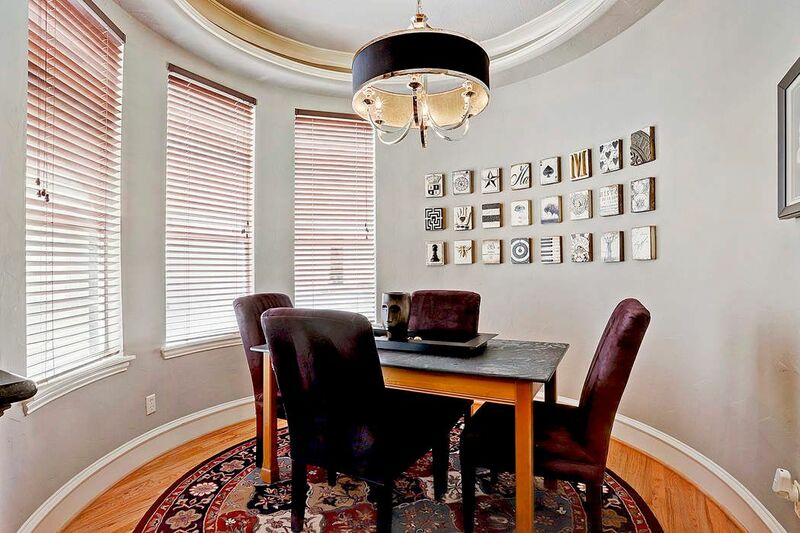 Charming breakfast nook with hardwood floors, crown molding, chandelier, and nice natural light. 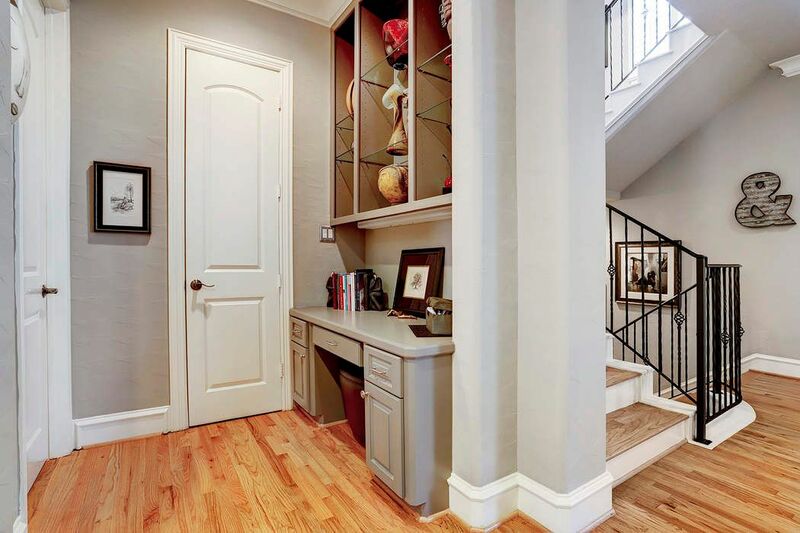 Study nook with lovely storage for cookbooks or china. 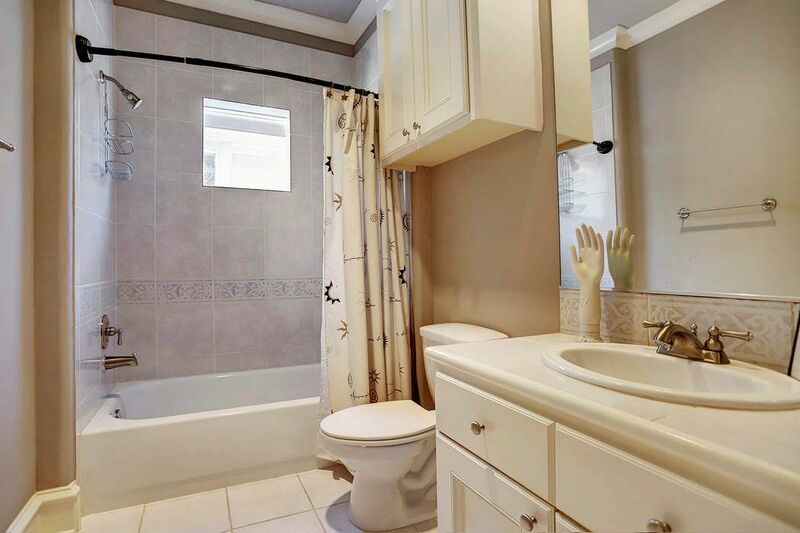 Second floor powder bathroom with hardwood floors and granite counter. 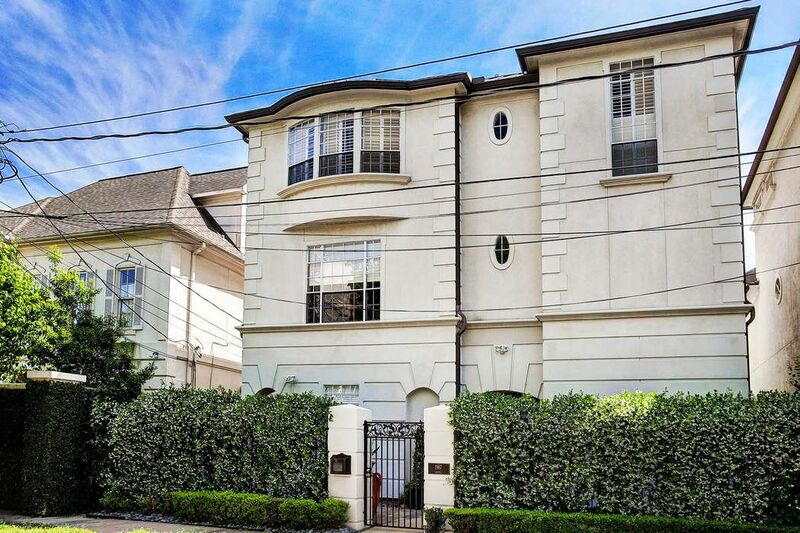 The third floor master is a real retreat with a luxurious bath and huge walk in closet. 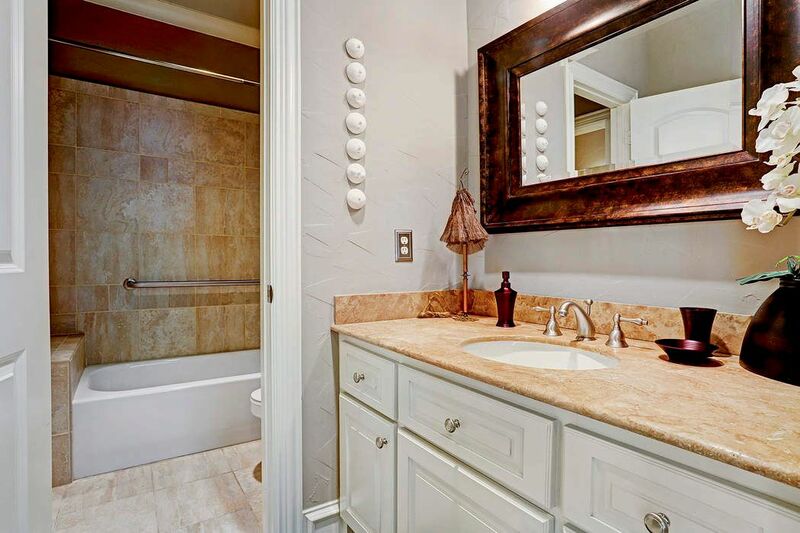 Luxurious master bathroom with tile floors, large walk-in shower, separate bath tub and double sinks. 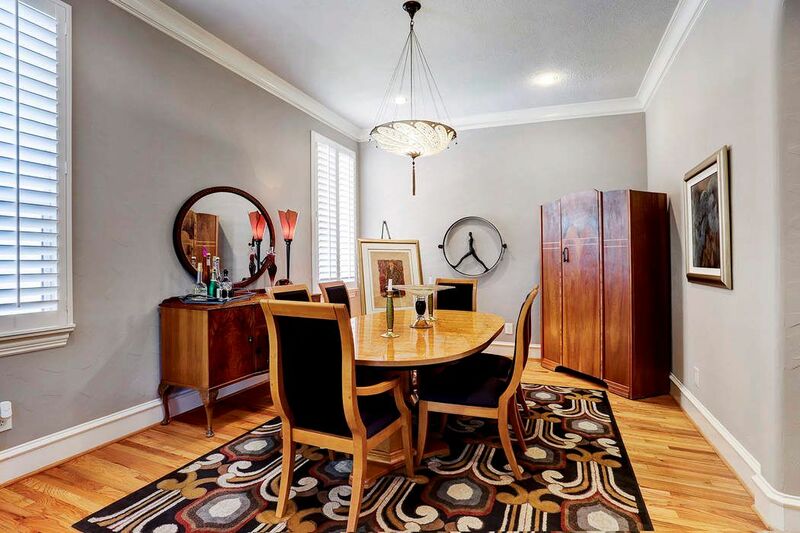 The third bedroom is a great size and has a separate sitting area. 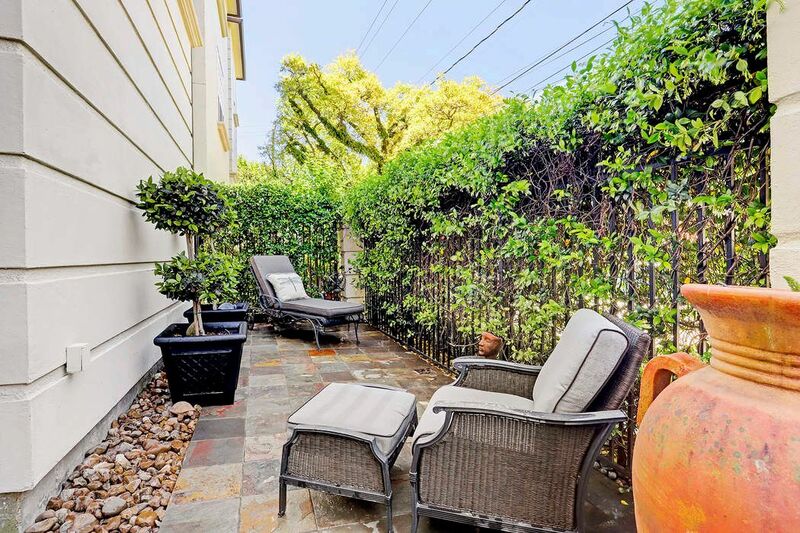 Private patio perfect for lounging. 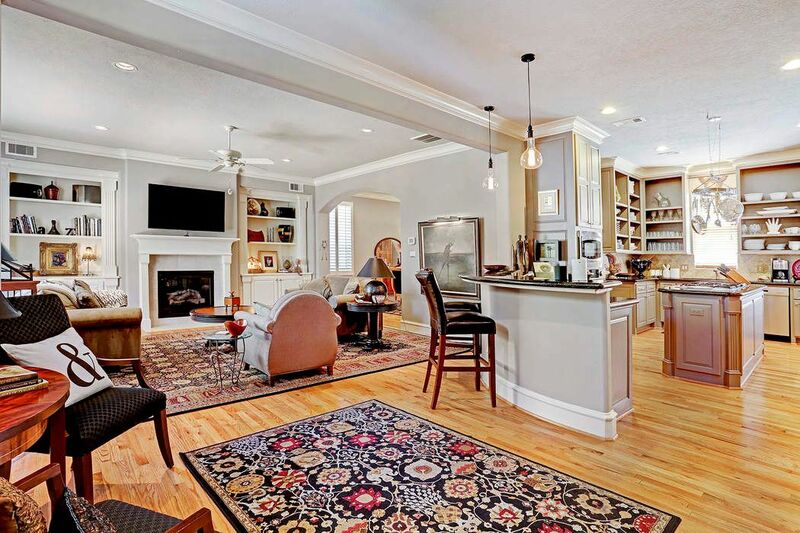 $729,950 3 Bedrooms3 Full / 1 Partial Baths3,673 sq. ft. 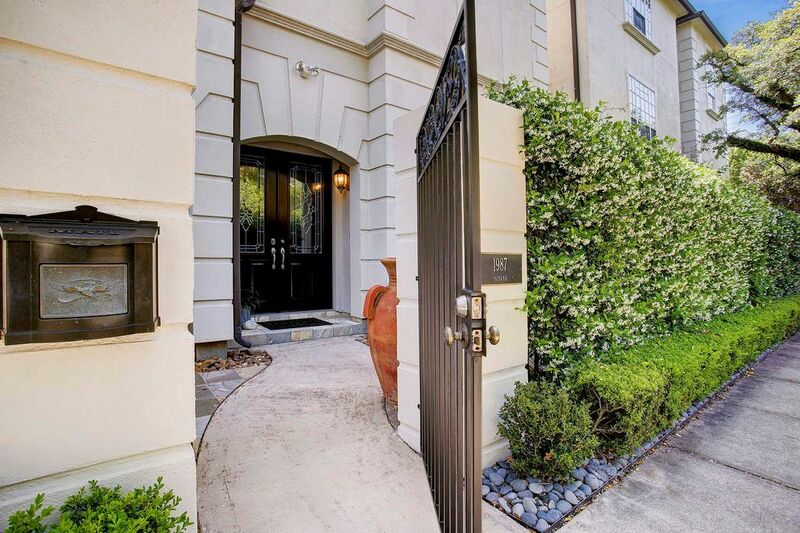 Completed in 2007, this beautiful freestanding patio home is part of a lovely gated enclave of four homes. 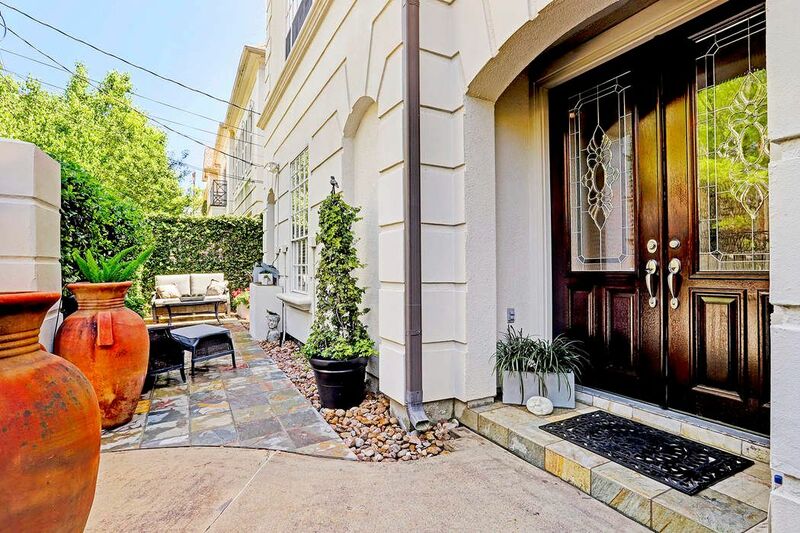 Located just blocks from River Oaks Shopping Center, you'll love being "in the middle of things" yet enjoy quiet privacy of this gem of a neighborhood. 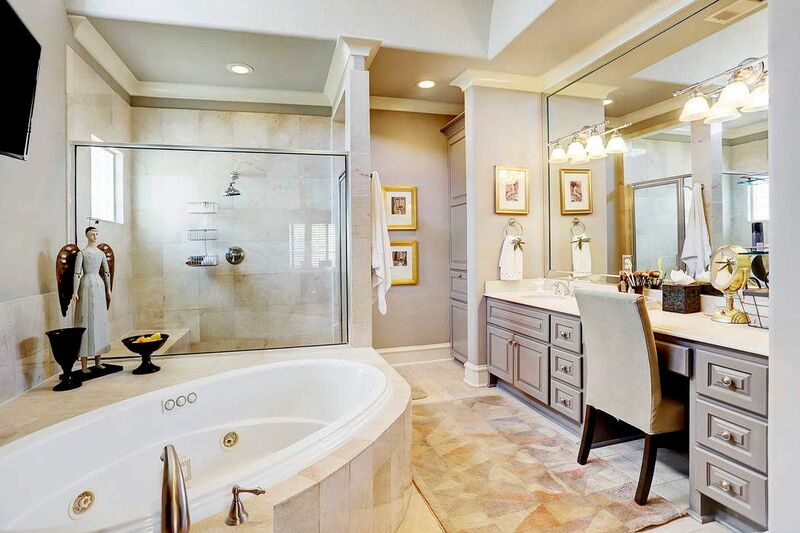 This ideal floor plan offers both a bedroom and a study down. 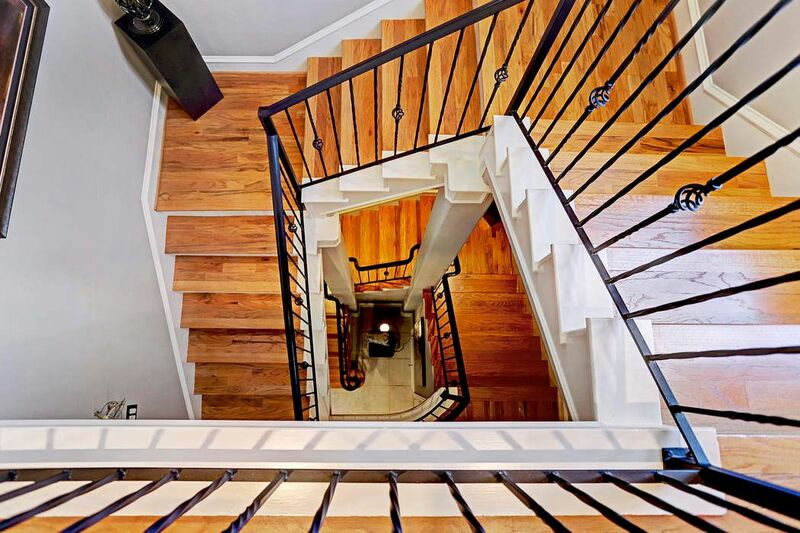 Up the beautiful iron-railed staircase is a wonderful open living, dining and kitchen. 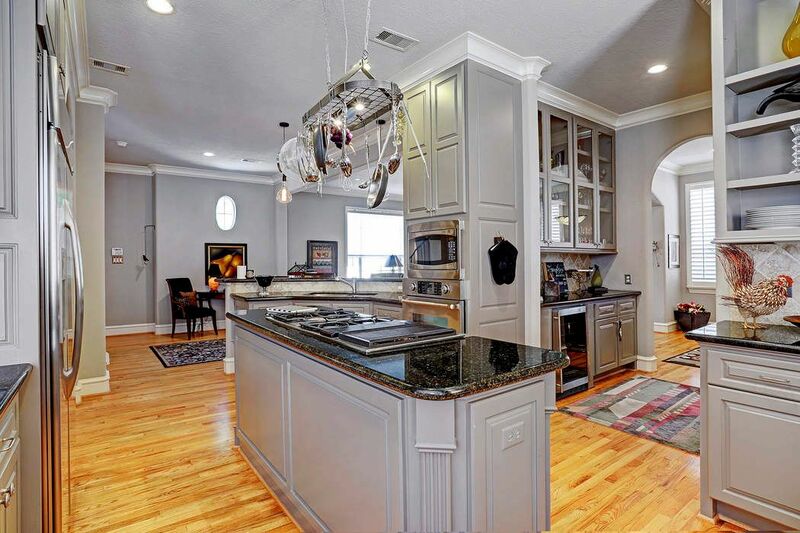 Beautiful millwork, high ceilings, built-ins, gas log fireplace, gleaming hardwoods throughout. 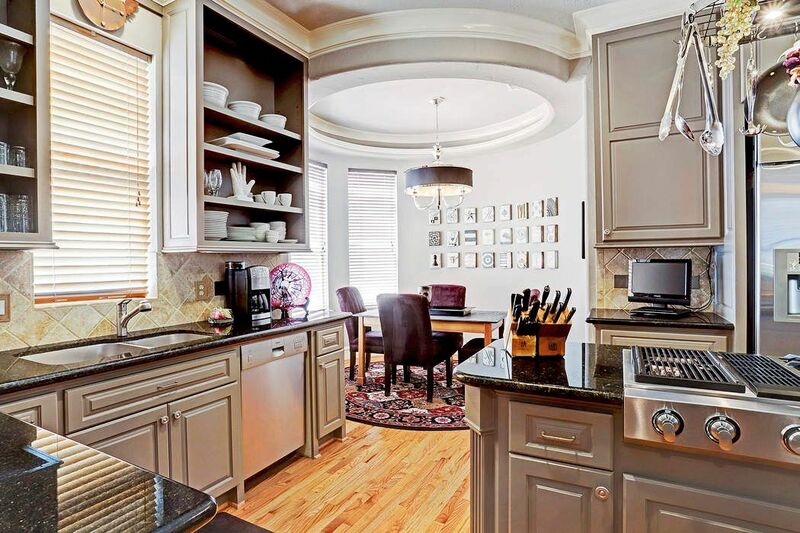 The kitchen is a gourmet cook's dream with abundant counter space, high-end stainless appliances, and charming breakfast nook. 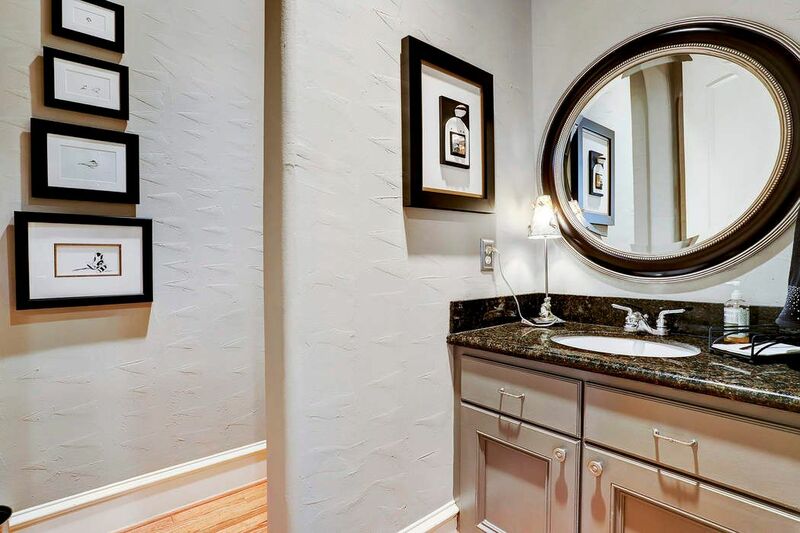 The third floor master is a real retreat with a luxurious bath and huge walk-in closet. 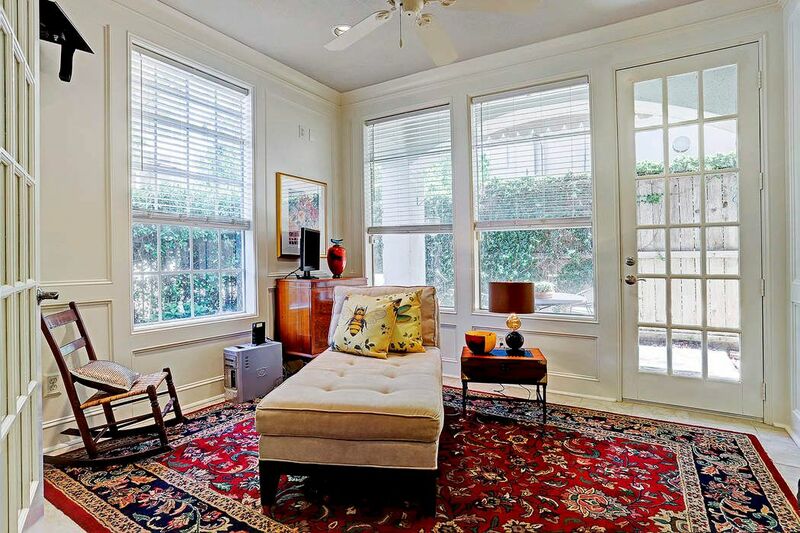 The third bedroom is a great size and has a separate sitting area. 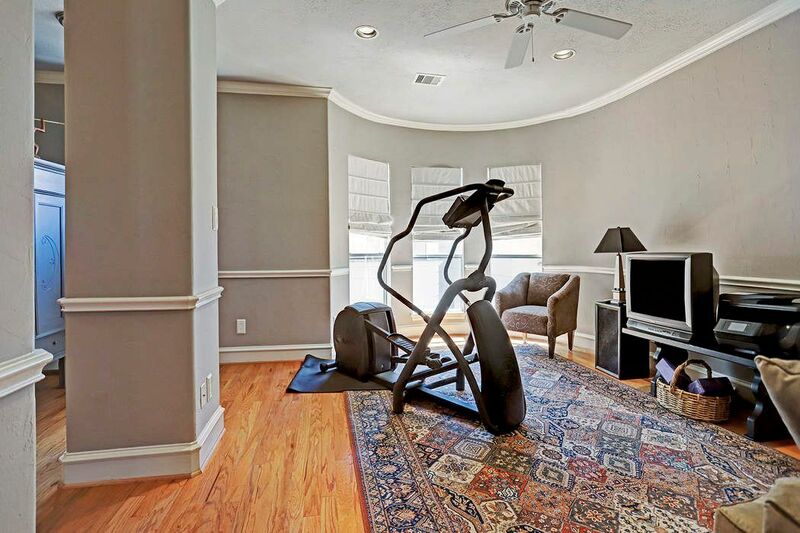 No HOA fees and no flooding.